AUD/USD touched a new weekly low at 0.7509 earlier today. USD fails to preserve its bullish momentum at the start of the NA session. Falling US T-bond yields weigh on the greenback. After closing the first trading day of the week with small losses, the AUD/USD pair edged lower during the first half of the day on Tuesday and came within a touching distance of the 0.75 psychological level. 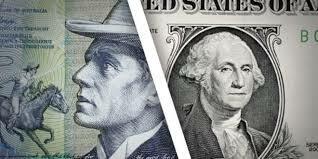 However, the modest selling pressure witnessed on the greenback has helped the pair start recovering its losses in the early trading hours of the NA session. As of writing, the pair was trading at 0.7530, still down 30 pips, or 0.2%, on the day. Changes in the USD valuation remains as the primary driver of the pair's price action. Following an upsurge toward the critical 95 mark, the US Dollar Index reversed its course in the last couple of hours as a 2% drop seen in the 10-year US T-bond yield hurt the greenback. The negative market sentiment forces investors to flee toward safer assets such as T-bonds and pull their yields lower. Meanwhile, Wall Street started the day on a negative note with the Dow Jones Industrial Average and the S&P 500 losing 0.25% and 0.65% respectively as of writing, reflecting the risk-off mood. In the remainder of the session, there won't be any significant macroeconomic data releases from the United States. During the Asian session on Wednesday, the RBNZ will be publishing its Financial Stability Report, and a sharp reaction by the NZD/USD pair could affect the positively correlated AUD/USD pair as well. With a daily close below 0.7510/0.7500 (daily low/psychological level) area, the pair could drop to 0.7445 (May 16 low) and 0.7410 (May 9 low). On the upside, resistances align at 0.7600 (psychological level/50-DMA), 0.7680 (Apr. 23 high) and 0.7730 (200-DMA).